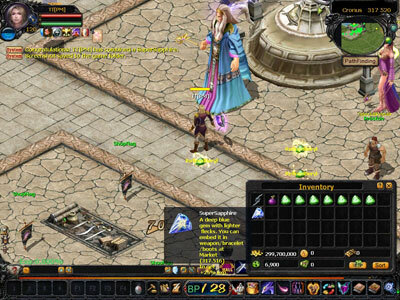 The Gem Socket Charles at the market ( 314,515 ) can do the gem combination for you (make several refined gems into a super one). 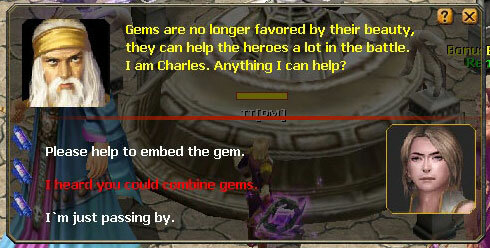 If you've collected enough gems, ask Charles to do this for you. It's 100% successful. 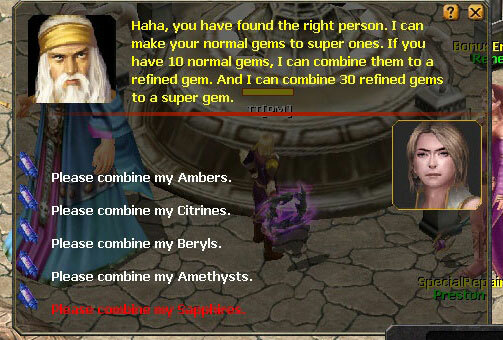 One refined gem need 10 gems as its material and one super gem needs 30 refined gems. 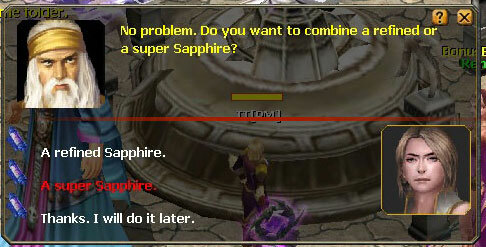 Step 1: Talk to the Gem Socket Charles at the market ( 314,515 ) and choose the option of "combine the gems". 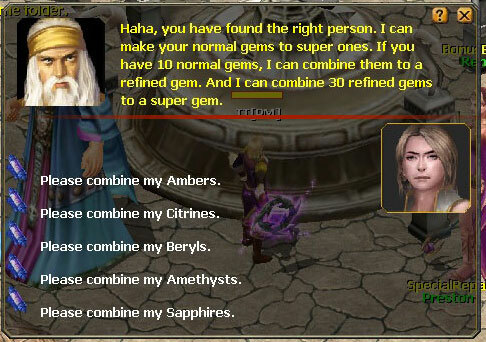 Step 2: Choose the genre of gems that you want to combine. Step 3: Choose your final object. Step 4: The combination is successful!